Do You Need to be an Industry Expert to be a Good UX Designer? What Pope meant was that we should either immerse ourselves in a subject or leave it alone. He didn’t mean that there was any danger in learning itself. When it comes to the user experience is it important for us to drink deep from the Pierian Spring of the sector or industry that the business operates in? Or is there an advantage to keep our learning to a minimum and embracing a certain amount of ignorance instead? There is a common belief that we conduct research to prove ourselves right. That we don’t so much test hypotheses but rather load the dice in their favour. In the reality this would not just do the companies, that we research for, a disservice in the long run it would put us out of a job. Proving yourself right is a risky strategy, mainly because all of us (no matter how intelligent) are often wrong in our initial thoughts and beliefs about a subject. 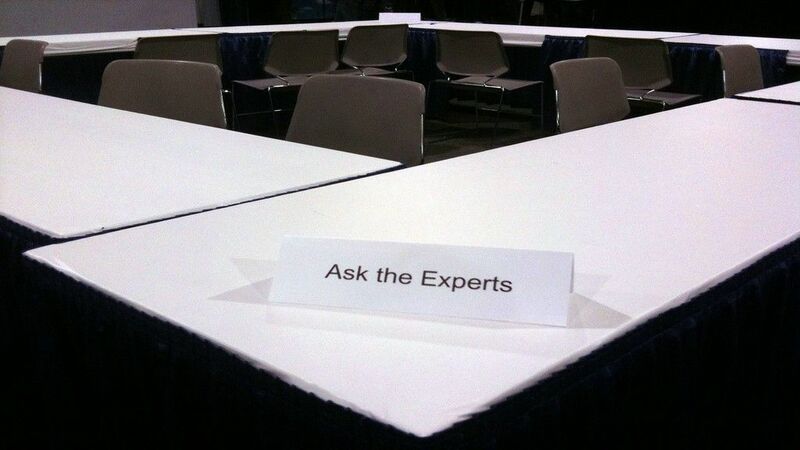 There’s an inherent problem with expertise in any specific area. The more we know, the more we presume to know. It’s been show by researchers, time and again, that people who are adjudged to be experts win the confidence of others. It’s also been shown that they are more likely to be wrong about things that fall outside of their actual area of knowledge than those with no knowledge. And worse they are more likely to be very wrong than those with no knowledge. They over estimate their own competence and the mistakes they make reflect this. Clients can benefit from our ignorance. When you don’t know a subject well, you are more likely to ask questions and to probe to gain understanding. That’s precisely what a user experience researcher is supposed to do for a living. We’re not there to think of solutions to a client’s problem by ourselves – we go out and do the research and let the users guide us to a solution. The biggest benefit of ignorance is that it drives us to understand our customers. We are much more likely to learn about the causes of business issues, and be able to solve them with user research, when we let the client educate us about their needs. I live in South East Asia and this phrase is incredibly common when people ask if something is similar to something else. The joy of life is that there are often huge areas of overlap between one thing we do and something else. This is particularly true in industry. While specific knowledge of an industry will make you a better industry professional, it doesn’t necessarily make you a better engineer or designer. UX research that you have already done can shine light onto new problems in other industries. A lack of industry knowledge can often lead you to explore different paths, ones used elsewhere, that might be dismissed by an industry expert. When you get down to the basic facts, users are human beings and for all our differences – we have much more in common than we have things that separate us. People drawn from similar groups will tend to exhibit similar behaviours in similar contexts. The UX designer is an expert in people first and foremost. This doesn’t mean that you shouldn’t take on board input from industry experts. Your clients will be only too pleased to give you their input when you ask for it. What it does mean is that you can start with a clear perspective in your research rather than one laden down with years of industry knowledge that might be obscuring the wood from the trees. If you’re not mired in industry thinking there’s another possible advantage to your customers; the ability to see beyond the industry that they are in. Companies evolve over time. Look at Google, a company that was once “just” (and we use the term very loosely when it comes to a company that dominates its market with such incredible efficiency) a search engine. Today, Google is in cloud storage, application development, hardware development, tech research (such as driverless cars and cures for global warming), and more. The opportunity to grow beyond the boundaries that are initially set for companies is often ignored because the people involved with the company are too focused on the industry they work for and not on the potential that they might have to solve problems beyond that industry sphere. Google takes its simple, efficient approach to one area of activity and applies it wherever it may do some good. Your clients can be helped to see a broader view of the world if you’re not bogged down in the detail of what an industry is or is not. Help them see the wood from the trees. The moral of this story is that ignorance can lead to innovation. A user experience designer’s job is not so much to be an expert in a specific industry, though admittedly there are exceptions to this rule, but rather to be an expert in user behaviour. Your research and questioning skills can lead you to create more value for a business than it might, perhaps, be able to create for itself. You can explore ideas that could seem “off the wall” to an experienced industry professional. You can create intuitive links to other areas of business where users suffer from similar problems. It’s a question of approach. If you don’t know something, you’re open to learning about it. It’s that learning that drives creativity. Being an industry expert is not always a disadvantage but there are plenty of times when a lack of expertise is an advantage.